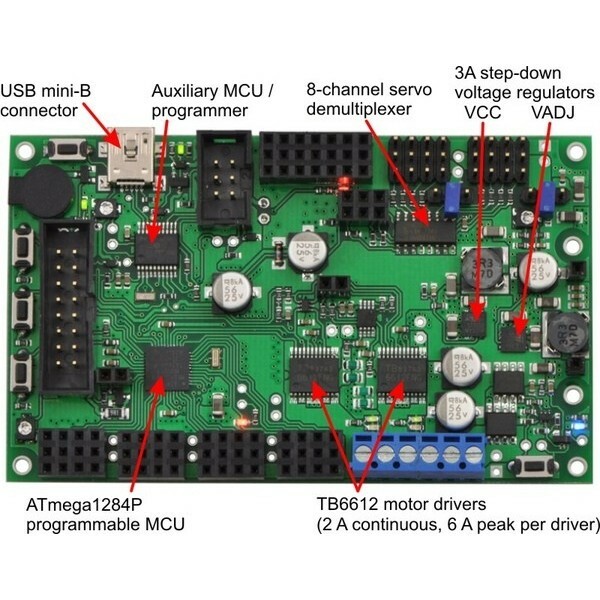 The Pololu Orangutan SVP-1284 robot controller is an excellent choice for robots that have outgrown the typical small Arduino brain. It is based on an Atmel ATmega1284P AVR microcontroller with 128 KB flash, 16 KB RAM and 4 KB EEPROM. It includes two powerful TT6612 motor drivers that can easily handle 2 A of continuous output per channel. 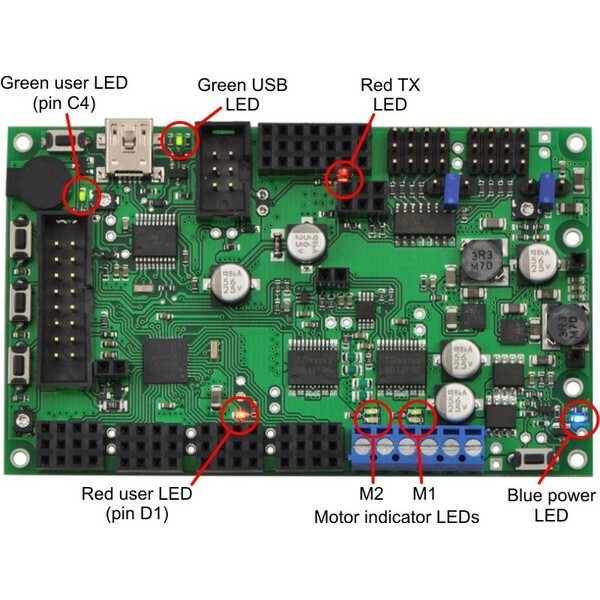 This controller features a large 16×2 LCD display, a demultiplexer to control up to eight servos, user buttons and LEDs, and a handy buzzer for audio output. 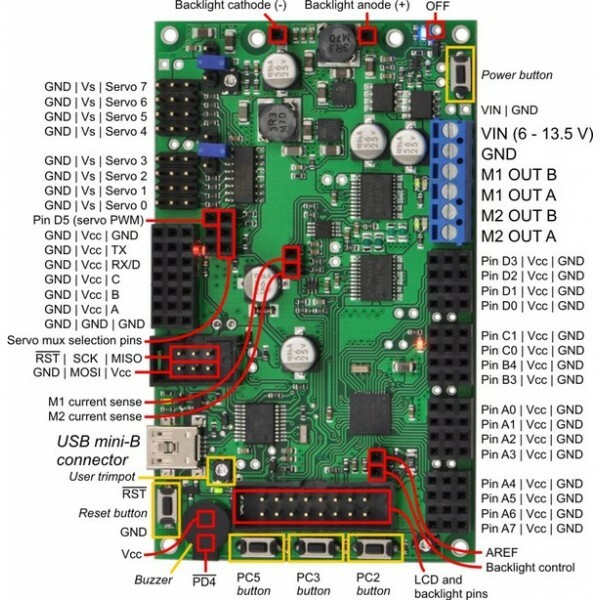 A USB AVR ISP programmer is built in.